Deathcaps are London's newest gang of psychobilly reprobates. Debut EP ‘Achtung! Halt! Wolf’ is a four track punch in the guts with pounding double-bass, manic rhythms and rockabilly grooves. Frontman Stu Rat growls his way through tales of murder, gore and hotrods while he shreds guitar half way between 50s rock n’ roll and late 70s punk. Deathcaps are London's newest gang of psychobilly reprobates who've already toured with the likes of Demented are Go! and Nekromatix. Debut EP ‘Achtung! Halt! 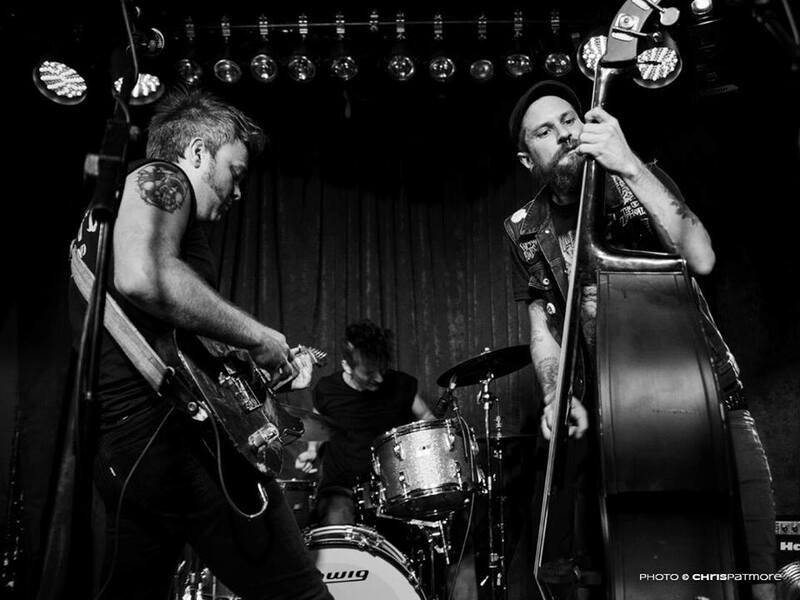 Wolf’ is a four track punch in the guts with pounding double-bass, manic rhythms and rockabilly grooves. Frontman Stu Rat growls his way through tales of murder, gore and hotrods while he shreds guitar half way between 50s rock n’ roll and late 70s punk.